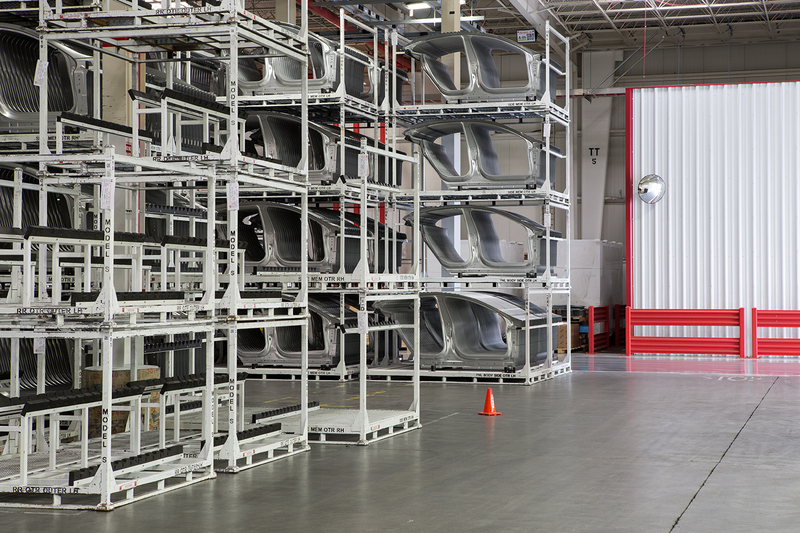 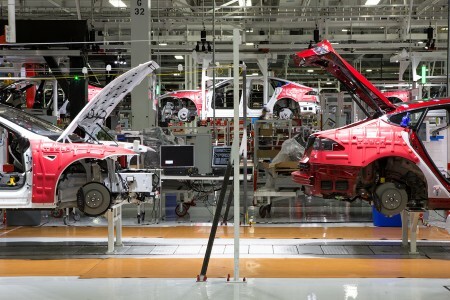 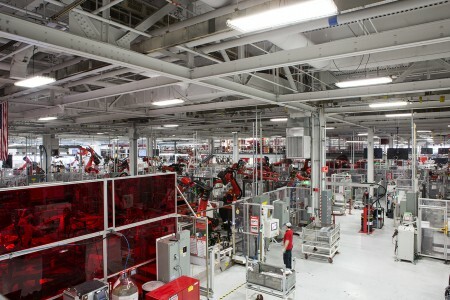 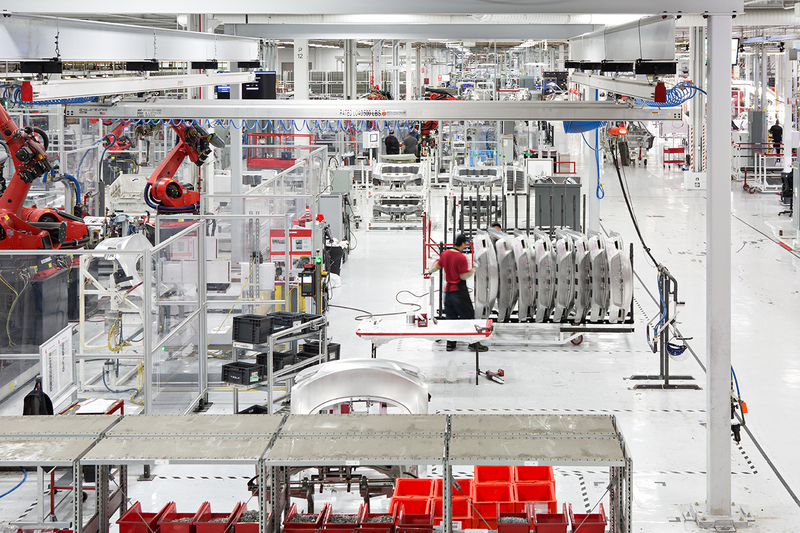 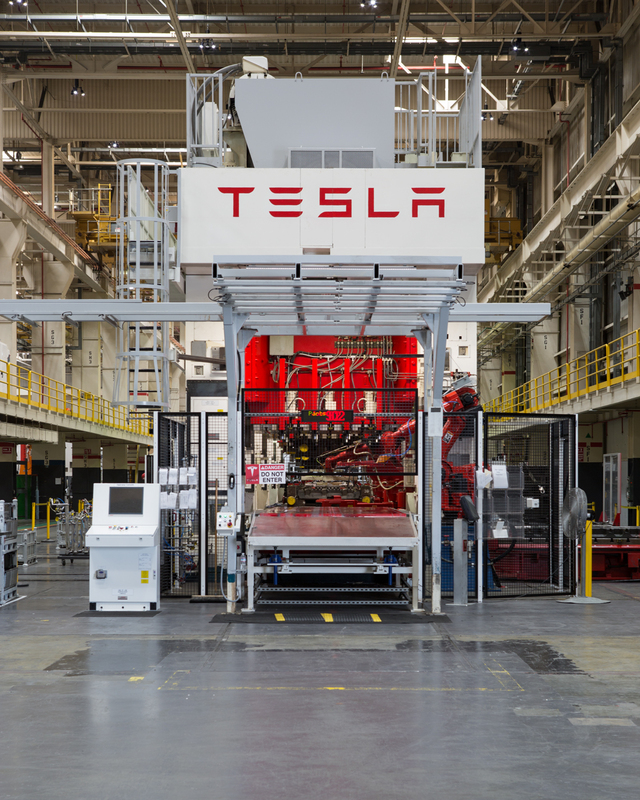 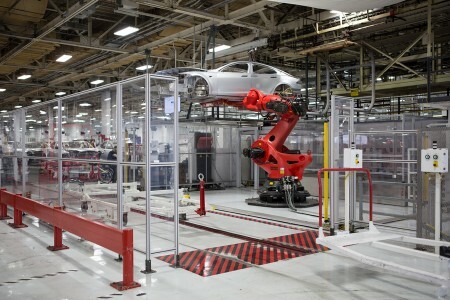 About/ The Tesla Factory is one of the world’s most advanced automotive factories, containing 5.3 million square feet of manufacturing and office space. 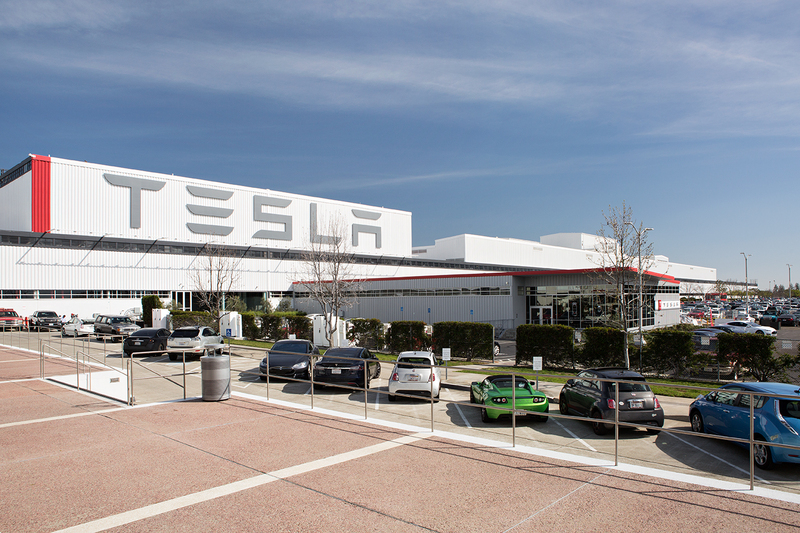 Tesla purchased the facility in 2010 and extensively remodeled it before the first Model S rolled off the line in June 2012. They added skylights and high-efficiency overhead lights to brighten what was once a dark, enclosed space. 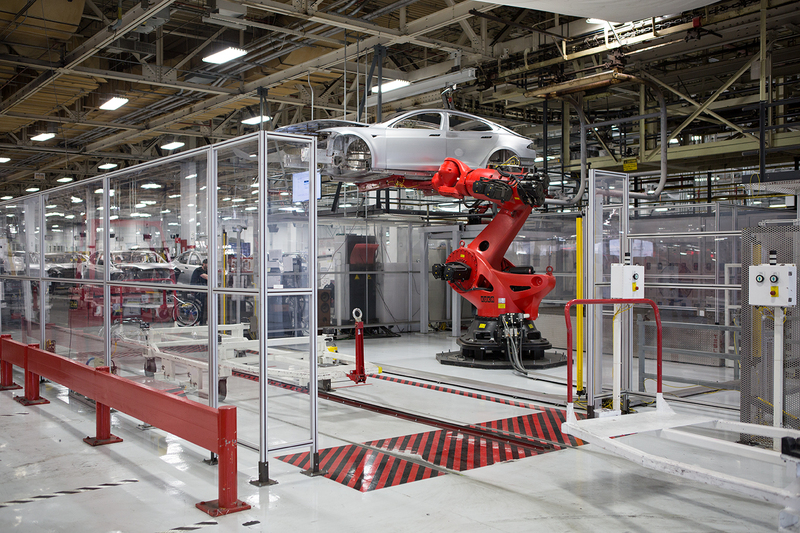 Floors and walls are painted a pristine white to both brighten up the space and set the tone for laboratory like attention to detail. 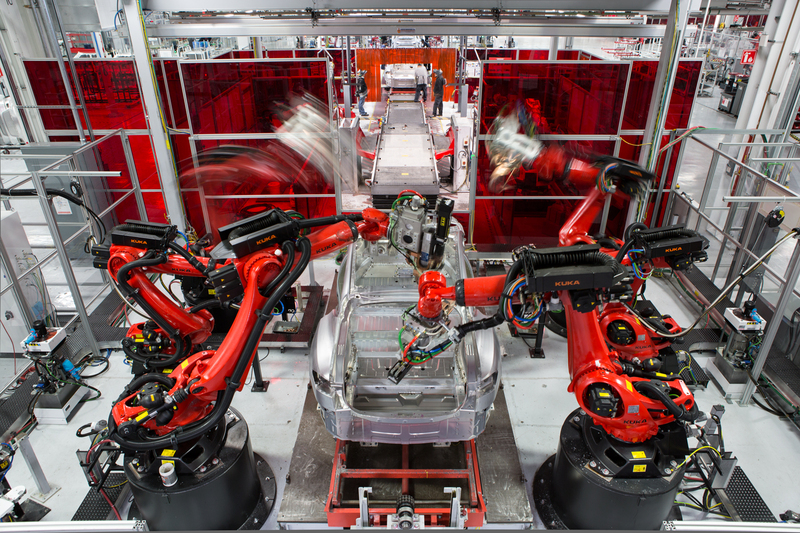 State of the art robots now help lift, turn, weld and assemble the aluminum occupant cell and body to extremely high tolerances. 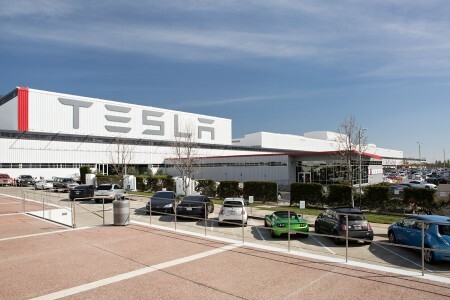 Prior to Tesla, the facility was home to General Motors and Toyota’s New United Motor Manufacturing, Inc (NUMMI) from 1984 until the partnership ended in 2009. 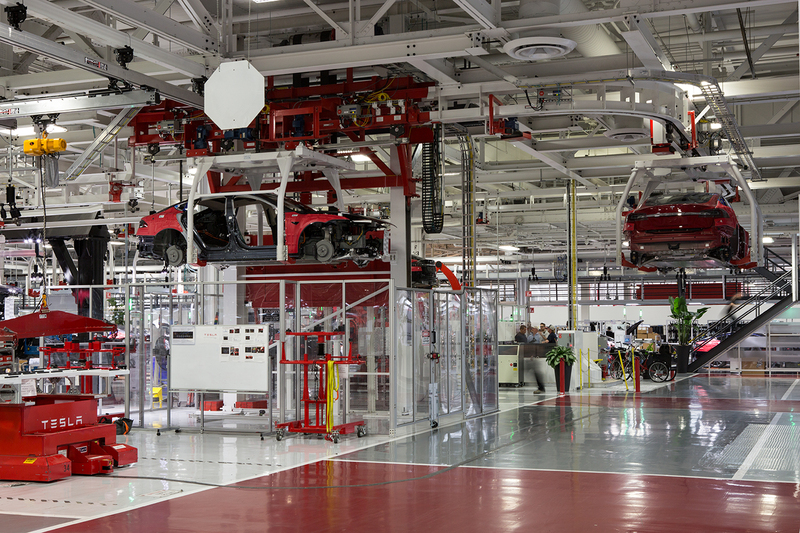 At its height under NUMMI, the plant produced 500,000 cars per year.